Can incandescent light bulbs cause interference? In an article I wrote several years ago, I implied that in our quest for energy efficient lighting solutions, the move from incandescent to alternatives such as LED lighting have introduced some new problems with radio interference that we didn't have with incandescent light bulbs. Well, actually that wasn't exactly true. We did have interference and the "problems" are not new but, a different manifestation of an old problem. 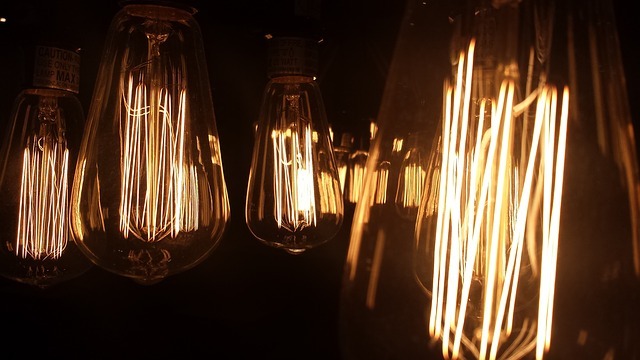 Recently the European market surveillance authorities (AdCos) on EMC have been investigating the potential of incandescent light bulbs to cause radio interference. The investigation began with reports that some incandescent lights may be the cause of reported interference to FM broadcast reception. The findings show that a specific type of incandescent bulb can interfere with radio reception. The type is referred to as a 'squirrel cage' Edison bulb in the report. "incandescent lights "are not expected to produce electromagnetic disturbances"
yet this new data proves otherwise. So what's changed? After a bit of research I found the answer, nothing, we've just stumbled on an old problem inherent to the once obsolete but now trendy retro vintage style vacuum Edison bulb. This Popular Science article from 1953 titled "U.S. declares war on static", a campaign of hams and hobbyist sponsored by the FCC shows an example of how to identify T.V. interference from an obsolete light bulb. 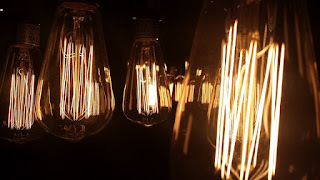 Today's filament light bulbs use an inert gas and relatively small coiled filament rather than a hard vacuum and a long zigzag filament structure. An investigation of the science and physics behind the phenomenon indicate this is caused by the filament oscillations coupled with thermionic emissions from the heated filament in a hard vacuum, similar to properties found in vacuum tubes. This post "Rustika lightbulb FM measurements " provides data and analysis and links to other works. So in conclusion, if you're having new and strange problems with radio reception, and you've installed one of those vintage light bulbs, try unscrewing it. Did you find this helpful, or informative? Please leave a comment or like below! Me: I work for Compatible Electronics, Inc. an accredited U.S. test lab and product certification body.